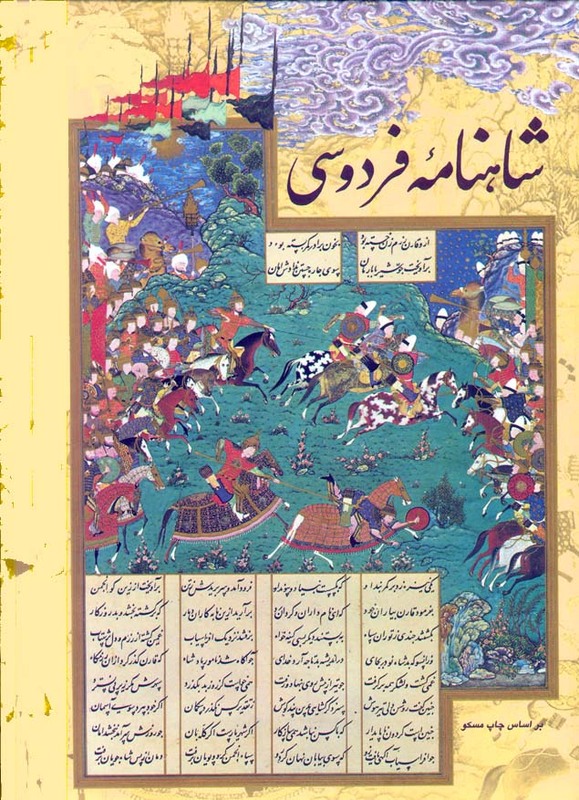 Academic studies of the Battle have revealed numerous topoi that make up a common schema of the Arab-Muslim conquests (see Noth; Donner, Narratives). These literary layers began accumulating in the period immediately following the Battle, when story-tellers (Ar. qāṣṣ, pl. quṣṣāṣ) embellished their narrative, often in an attempt to glorify past ancestors. This process continued in the hands of the later tradents and collectors of traditions (Ar. akhbār), who compiled the early surviving works of Islamic historiography. Thus, contemporary allusions to al-Qādisiyyah, an incident during the foundational period of Islam, carry broad implications and suggest more than a simple historical reference. In your name, brothers, and on behalf of the Iraqis and Arabs everywhere we tell those [Persian] cowards and dwarfs who try to avenge Al-Qadisiyah that the spirit of Al-Qadisiyah as well as the blood and honor of the people of Al-Qadisiyah who carried the message on their spearheads are greater than their attempts (see Ṣaddām, E3). The maquette was worked from plaster casts of the [Ṣaddām]’s arms, taken from just above the elbow, with a sword inserted into each fist. The monument serves as a Baʾthi equivalent of the Arc de Triomphe in the Champs Elysées. The Baʾthi arch, however, is bigger. 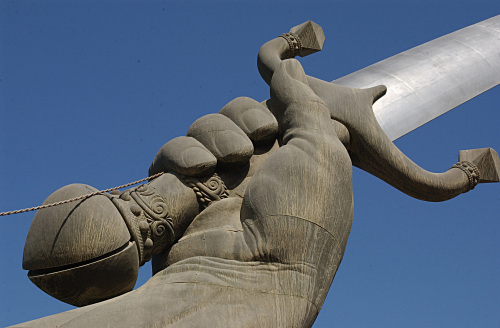 The President’s forearms and fists, sixteen metres in length (the same height as the Arc de Triomphe), burst out of the ground like gargantuan bronze tree-trunks and rise with their firmly grasped swords to an apex forty metres above the ground. War debris in the shape of five thousand Iranian helmets taken fresh from the battelfield [sic] are gathered up in two nets (2,500 each) which are torn asunder at the base, scattering the helmets around the points at which the arms rise from the earth. … [T]he raw steel used [for the swords] was obtained by melting down the weapons of Iraqi ‘martyrs’ who died in the fighting (see Makiya, 3-4). The totalitarian Baʿthī régime mustered all of its resources in order to exploit and reshape the collective memory of its subject population and even attempted (unsuccessfully) to subvert the Iranian government through rhetoric aimed at securing the support of the Arab minority in south-western Iran. In the ensuing battle of symbolisms, both states sought to co-opt the other’s legitimating techniques and to use a particular idiom in order to mobilise their populations. Throughout the course of the Iran-Iraq War, Ṣaddām continued to play upon the emotic value of al-Qādisiyyah, using it repeatedly to draw a contrast between the Arab nation, which he claimed to represent, and the ‘Zoroastrian’ Persians against whom he was fighting in a political war now endowed with religio-historical meaning. In this way, he sought to cast his offensive war as a second Battle of al-Qādisiyyah and to hijack the ostensibly mutual Islamic heritage shared by both Muslim Iraqis and Iranians. Interestingly, the Islamic Republic of Iran, which viewed itself in wholly religious terms (at first), responded to Ṣaddām’s attacks by turning the tables on him. The leaders of Iran portrayed themselves as the true heirs to the Seventh-Century Arab-Muslim warriors, juxtaposed against the ‘pagan’ irreligious Baʿthists, the ideological descendants of the Sāsānian Persians. Towards the end of the 1980s, Ṣaddām Ḥusayn adopted increasingly the religious rhetoric of Islam. On the eve of the Persian Gulf War, he added his own handwritten inscription of God is most great (Ar. Allāhu akbar) to the country’s flag and arranged for a fringe group to declare him the caliph of Islam. This trend towards religio-political manipulation of al-Qādisiyyah has continued most prominently among the proponents of radical Islam, who have cited the battle as an inspirational example of a small, but righteous and zealous group overcoming a wicked and immoral reigning super-power. 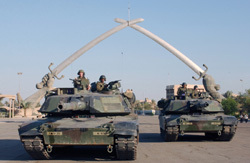 Thus, for example, a group of insurgents operating against the American-led coalition forces in Iraq called itself Luwāʾ Qādisiyyat Saʿd (Saʿd’s Qādisiyyah Brigade) . In particular, Sunnī radicals, such as those active in al-Qāʿidah (al-Qaeda), have cited al-Qādisiyyah in their messages to the faithful. In January 2011, the Global Islamic Media front, a European propaganda organisation that supports al-Qāʿidah and other radical groups, announced the creation of al-Qadisiyyah Media Productions, which would translate Arabic-language materials into South Asian languages, including Urdu, Hindi, Bengali, Pashto, and Persian. Likewise, a branch of a Sunnī militant group opposed to the Islamic Republic of Iran calls itself the Qadesiyoon Media Brigade on the Internet, seeking apparently to follow in the footsteps of the Seventh-Century invaders and to overturn to the government of Iran. In Iraq, Ṭaha Ḥāmid Dulaymī, a Sunnī cleric opposed to Shīʿism and to the Islamic Republic of Iran, established the website, AlQadisiyya3.com, with the slogan, ‘Every day … every land … is Qādisiyyah (kul yawm … kul arḍ … Qādisiyyah)’, calling for a ‘third’ Qādisiyyah, following both the historical engagement and Ṣaddām’s ‘second’ re-enactment. Radical Islamists elsewhere in the world make use of Qādisiyyah nomenclature even when it does not appear immediately relevant to their cause; for example, in Pakistan, the mosque and centre affiliated with the radical group Jamaʿat-ud-Daʿwah Pakistan bear also the name al-Qādisiyyah. Yet another example can be found in Gaza, where the ʿIzz ad-Dīn al-Qasām Brigades, the military wing of the Palestinian radical Ḥamās militant group, named its training camp on the ground of a former Israeli settlement after the battle. Oh the mother of men, how many sons do you have? … Are you not taking the female predecessors as an example and role model? Give what they gave, so you may attain a reward like theirs. [Al-Khansāʾ] is a famous woman, who, if our women were like her, no one would remain behind. If the women were like her, the men would leave for jihad in groups. … [When] news of [her sons’] deaths reached their mother, … she said: Praise be to God who honored me with their deaths, and I hope my God will gather me with them in His everlasting mercy (see ʿAyyīrī). Such invocations demonstrate the appeal of the Qādisiyyah narrative to radical Islamists, much as it attracted the attention of Ṣaddām Ḥusayn and the Baʿthist régime in Iraq. Although Ṣaddām and al-Qāʿidah may have highlighted different aspects or interpretations of Qādisiyyah, the memory of the Seventh-Century engagement continues to possess emotive significance in the modern Middle East. 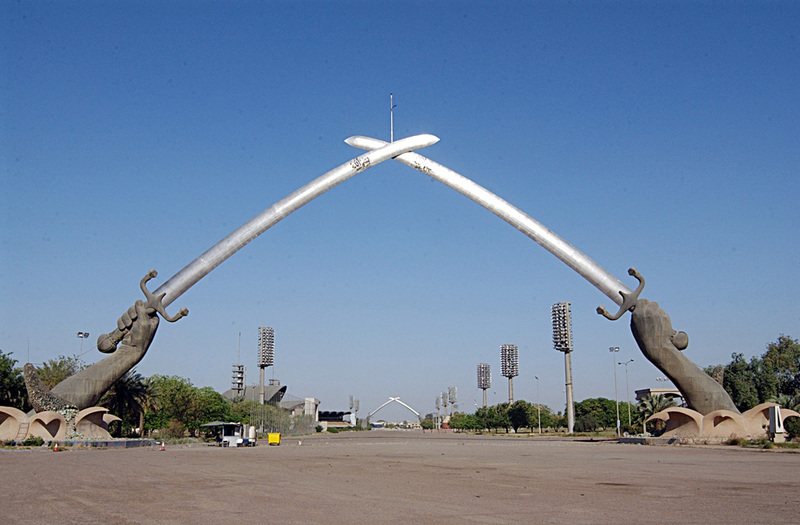 The Qaws an-Naṣr (‘Victory Arch’), sometimes called the ‘Swords of Qādisiyyah’, commissioned by Ṣaddām to commemorate Iraq’s ‘victory’ in the Iran-Iraq War and opened August 1989. Source: Wikipedia. 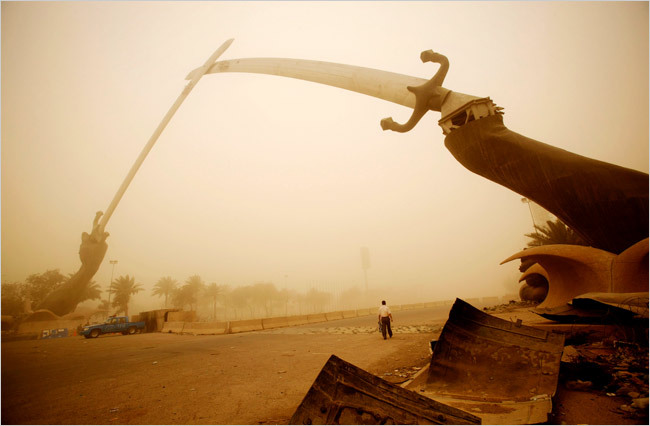 The Qaws an-Naṣr (‘Victory Arch’), sometimes called the ‘Swords of Qādisiyyah’, during a dust storm in 2009. Source: New York Times. American soldiers posing in front of the Qaws an-Naṣr (‘Victory Arch’), sometimes called the ‘Swords of Qādisiyyah’, after the 2003 invasion that toppled Ṣaddām. Source: Wikipedia. Close-up of the fists in the Qaws an-Naṣr (‘Victory Arch’), sometimes called the ‘Swords of Qādisiyyah’, modelled after Ṣaddām’s own. Source: jamesdale10 (Everystockphoto.com). Internet banner for a Sunnī militant group opposed to the Islamic Republic of Iran. Source: Qadesiyoon Media Brigade (website 1) Qadesiyoon Media Brigade (website 2). Front cover of the first issue of the radical Islamist al-Khansāʾ magazine. Source: al-Ghoul.com.